Whether you are looking to rehabilitate after an injury or surgery, build health and confidence through a dedicated movement practice, or prepare for competitive athletic events/seasons, our coaches have the knowledge, expertise, and training methodologies to help you meet your goals. Our coaches have unique skill sets and training approaches, but they are all guided by the philosophy that movement training should be about improving the relationship with the body, not dictating to (or punishing) the body. 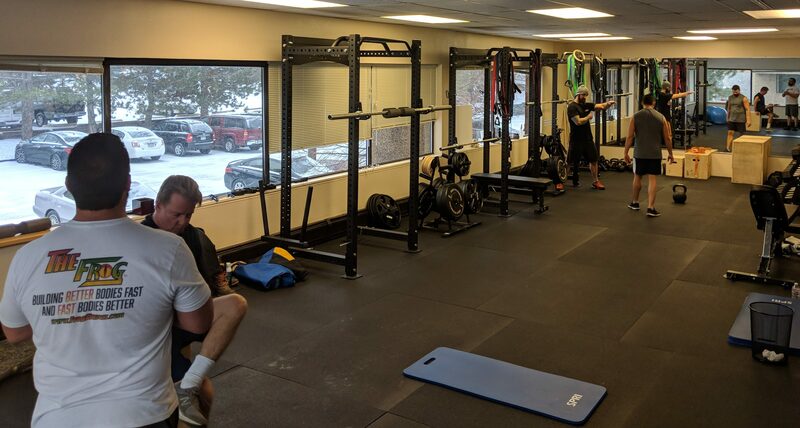 At DPPS, our goal with training is the same as with everything we do: to help you become the most integrated, functional, and resilient version of yourself… physically, mentally, and emotionally. Our coaches are not only well-versed in numerous training methodologies and movement skills, but are also manual therapists who have a unique way of blending Integrated Therapy within the context of a movement-centered practice. Having knee pain while you squat? Our coaches can parse out the neurological cause of the pain, clear it out of your nervous system or provide manual tissue therapy, and have you squatting again pain free, all within a few minutes during a training session. Our integrated approach to training is what separates us from any other training facility in Colorado. We offer training in both private (1-on-1) as well as semi-private (2-6 people at a time) scenarios. Every athlete or client who commits to training is given a thorough initial assessment, provided an individualized custom training program that includes homework and recovery exercises, and has access to our video database containing 300+ exercise videos for continued support and education. Private training sessions customized to the needs of the individual. These sessions also included our advanced neurological manual to help solve painful or difficult movements, as needed. This is a foundational strength training class with a focus on fundamental skills. It combines bodyweight exercises, band exercises, and kettlebell exercises designed to establish a mastery of basic functional movement, which is a prerequisite for long-term health and more advanced training. This program will benefit the beginner to intermediate client and is also an excellent transition for more advanced trainees from rehabilitation/pain back into regular strength training. It will also benefit anyone in need of some fine tuning corrective strategies to supplement their other training. There are 6 foundational movements that we are building skill acquisition of in this program: breathing, squat, hip hinge, push, pull, and gait. The process of mastering these essential movements will be a combination of consistent practice of the taught principles, complimented with different accessory exercises designed to address specific potential sticking points through mobilizing your joints, restoring neurological health to your muscles, and integrating your entire body as a functional unit. This class is a well-rounded approach to properly developing the function of your core. Having a well-functioning core is an absolute necessity for pain management, rehabilitation, and improved performance. Our focus is to retrain and strengthen your core from the inside out. We address the tissues with gentle release techniques, utilize various positional breathing drills, mobility exercises, cross-patterning and integration drills, along with a multitude of strength exercises. Self Myofascial Release (SMR) is the practice of performing targeted massage-style releases on our own muscles and soft tissues and can be a fantastic tool in our self-care arsenal. It can be tremendously helpful in reducing pain, improving mobility, and restoring movement capacity. This course will help you develop a broad skill set in self-administered soft tissue therapy. We utilize a variety of self-massage tools, as well as complimentary corrective exercises to help reinforce the releases.